Indulgence Package is available through UNIGLOBE Travel on select WestJet Vacations packages. 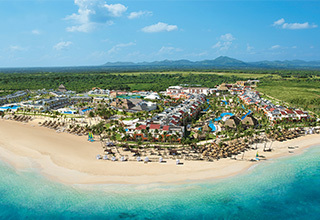 AMResorts is a collection of luxury resort destinations, each with its own unique personality. 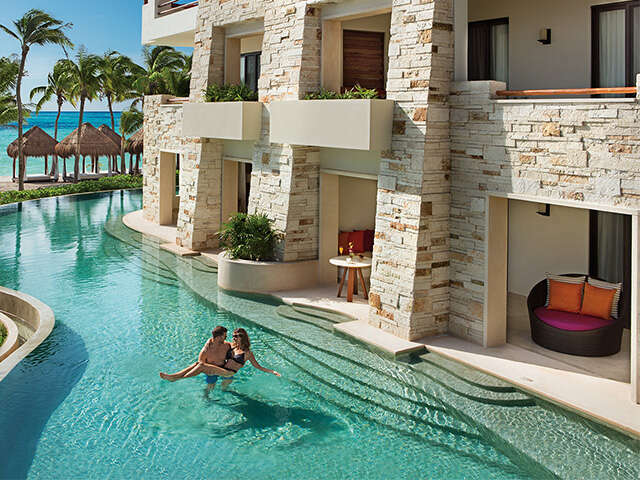 Every one of our resorts features sun-soaked beaches, elegant accommodations, a world-class spa, gourmet dining, unlimited premium drinks, and many other pampering amenities. Book your AMResorts vacation with UNIGLOBE Travel today! Zoëtry offers a unique resort experience where wellness is defined more broadly than rest and healing alone. 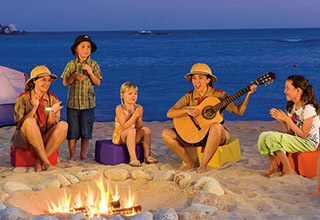 Our resorts also offer exclusive opportunities to participate in cultural, artistic and educational experiences as well as local community stewardship activities. Unplug from daily life and envelop yourself in the tranquility of Zoëtry Wellness & Spa Resorts. Unrivaled luxury and holistic wellness combine with the limitless means of Endless Privileges® to offer an experience of attentive bliss known as The Art of Life®. Delight in the touches of infinite bliss with daily in-suite sparkling wine, 24-hour gourmet dining, complimentary world-wide calling, laundry services, specialty experiences, and so much more, all included with your stay. Check in or out at any time, and tune into your inner self. 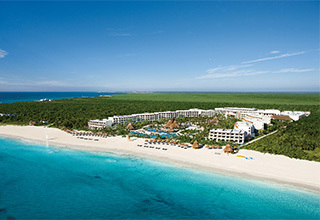 Secrets Resorts & Spas offer adults an escape to romance and sensuality in spectacular oceanfront settings. 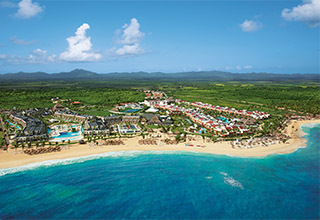 Each of our upscale resorts combines exemplary personal service with casual, yet sophisticated style. Escape to a sophisticated, adults-only tropical paradise that combines unparalleled pampering and pleasure with Unlimited-Luxury®. 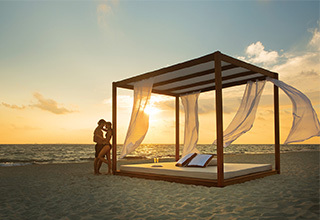 Choose from romantic oceanfront resorts throughout Mexico, Jamaica and the Dominican Republic, each featuring a world-class spa, well-appointed rooms and suites, exceptional gourmet dining, live entertainment and so much more. Breathless is the adult escape for sophisticated singles, couples and friends. Our resorts are luxe, modernist and chic, featuring pristine beaches, trendsetting restaurants and lounges, world-class spas and vibrant nightlife and entertainment. Meet new people from around the world…and reconnect with those who mean the world to you. 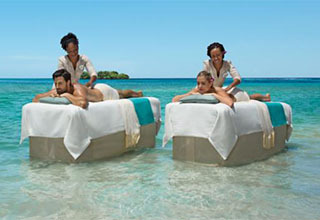 Dreams Resorts & Spas offer families, couples and singles a luxurious tropical escape. Our beautiful beachfront locations and exciting array of activities for every age and interest ensure that everyone has their dream vacation. *Select Dreams properties offer a variation of these inclusions with Defined Delights™, where all your vacation essentials are included. 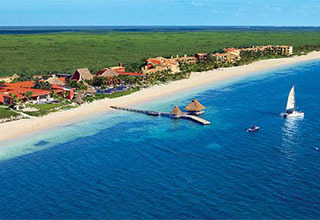 Dreams Resorts & Spas offer a high level of luxury for couples and couples with children, in ideal beachfront settings. Spacious rooms and suites, graciously appointed and luxuriously equipped provide a picture-perfect vacation experience with welcoming service and romantic inclusions. The Explorer’s Club for Kids with Red Cross certified staff and Core Zone Teens Club* provide supervised day and evening activities. Beautiful and exciting destinations provide a lovely setting for a wedding, honeymoon, romantic getaway or family vacation. Now Resorts & Spas offer singles, couples and families extraordinary seaside settings where style and sophistication meet relaxation and comfort. 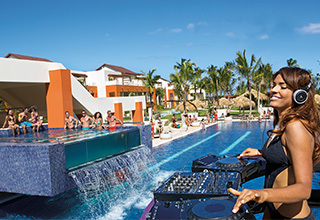 Party or play, our vibrant resorts offer it all. 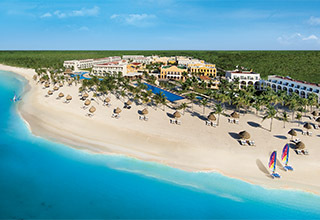 Now Resorts & Spas offer vibrant beachfront settings in Mexico and the Caribbean perfect for multi-generational travel, families with teens and tweens as well as couples and friends. Guests enjoy a family-friendly, modern vacation experience, where play and party are just steps away from peace and quiet. Spacious rooms and suites are graciously appointed and luxuriously equipped with amenities. 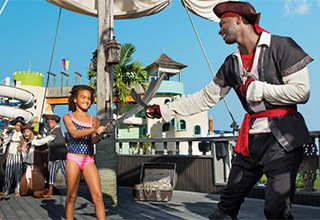 Active and lively settings provide entertainment for guests of all ages, including kids, teens and tweens with the supervised Explorer’s Club for Kids with Red Cross certified staff and Core Zone Teens Club. 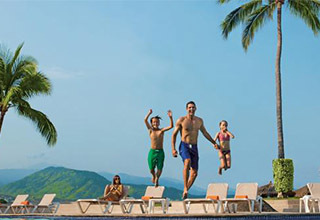 * These resorts provide the perfect setting for a family reunion, a wedding or a social group getaway. Live in the Now™. 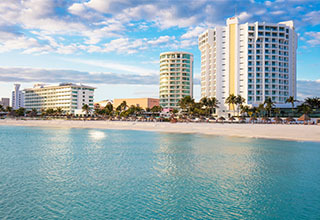 Enjoy great beachfront vacations offering a variety of locally inspired cuisine, inviting amenities, friendly service and an array of culturally infused experiences all created for memory making moments. With Unlimited-Luxury® all this is included and more – all you need to do is enjoy and reflect. Sunscape Resorts & Spas offer families, friends, singles and couples high-energy, fun-filled vacations and getaways on pristine beaches. Indulge, day and night, in countless activities at our seaside resorts. 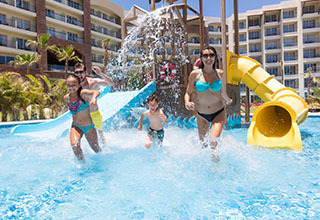 Sunscape Resorts & Spas offer fun-filled and worry-free, family-friendly vacations without wristbands for families, friends, singles and couples. Guests will experience the convenience of Unlimited-Fun® – where everything is included – paired with a vibrant atmosphere and friendly service. Contact UNIGLOBE Travel today to book! Advance booking required. Non-refundable and non-transferable. Offer limited and subject to availability. Offer subject to change and expire without notice. New bookings only. Valid on group bookings. The Indulgence Package is $79 per person including children. This offer is only available at select Zoëtry, Secrets, Breathless, Dreams, Now or Sunscape Resorts when a Preferred Club, Exhale Club or Sun Club Room category or higher is booked. A minimum 5-night stay is required. Transfers to/from the hotel are included. Blackout dates may apply. Everyone sharing the same room must book the Indulgence Package. Legal note1: Advance seat selection does not apply to emergency exit seats. Legal note2: Based on availability. Legal note3: Age restrictions may apply. Fees normally apply to the use of the marine water circuits. Offer expires December 24, 2019. Other restrictions may apply, contact your UNIGLOBE Travel consultant for full details. "Hi, I'm Correna, ask me about AMResorts Ind..."